Where Do Educational Games Come From? 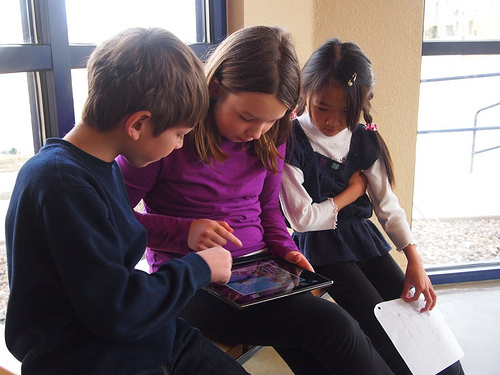 Increasingly, digital games are cropping up everywhere in education. And that’s stimulated a flurry of activity leading to the expectation that no longer are learning games only likely to come from traditional education companies, but a wide variety of sources. The expectation-setting stats and statements, at least, are straightforward. Both the New Media Consortium’s 2012 Horizon Report on higher education and its 2011 Horizon Report for K-12 put game-based learning in the mainstream (defined as adopted by about 20% of institutions) in the next two-to-three years. “The greatest potential of games for learning lie in their ability to foster collaboration and engage students deeply in the process of learning,” noted the 2012 higher ed collaborative effort of NMC educators and research centers. Then there’s the expectation of the “demand” side: students. An Educause survey last October found 37% of college students use educational games or simulations – and 15% wished their instructors used them more often. Project Tomorrow’s national Speak Up report released in April found that 52% of middle school students wanted their “ultimate” school to have games and simulations. Now, it appears, the “supply” side is responding, building on a base of learning game research from this century – or simply taking advantage of heightened expectations. No matter what the motivation, it provides evidence a perceived K-20 trend toward games may actually be real and is spurring activity from places not always thought as hotbeds of hard-core learning game development. Consumer and learning game worlds have long been separate, with some notable crossovers (Where in the World is Carmen Sandiego and SimCity are two early standouts). But motivated companies are trying to make consumer crossovers more common and even more structured. Take the original Angry Birds, which has been used to teach physics. Developer Rovio subsequently worked with NASA on the micro-gravity used in Angry Birds Space to improve its educational value (if you can ignore the exploding pigs in vacuum). That collaboration reached a new orbit with the landing of the Mars Curiosity rover and the release the same month of an Angry Birds Space: Red Planet update with explicit links to NASA educational content about Mars. Another example: Valve, the maker of hit video games such as Half-Life, promoted its Learn With Portals initiative last year and went on to release education-specific tools and lessons plans for its Portal and Portal 2 games to help middle-school students learn physics and encourage STEM education. It’s as if educators and companies are taking advantage of improved consumer game engines that allow for more realistic simulations – and the more life-like the fantasy scenarios become, the more applicable they may be for education in the real world. Non-profits, including foundations and research labs, are also creating games and simulations for use in education – and some commercial firms are even taking notice. Another non-profit offspring is Gamestar Mechanic, created by the Institute of Play and released in late 2010. It’s a kind of meta-“learning game” game, designed to teach 7- to 14-year olds systems thinking and game design. Games created by students can be played by other students. Other examples include games from organizations as varied as the Nobel Prize to Generation Cures, based at Children’s Hospital Boston. Not to mention a number of government agencies, and museums such as those of the Smithsonian. Schools, colleges and universities are creating their own games and sims. And rather than just use them for their own students, they’re sharing. A relatively well-known example is the video game company management simulator Platform Wars, originally created by the MIT Sloan School of Management for its own use but made available – for free – to other institutions, and anyone with a web browser, early this year. But there are more game-like – and even quirkier – examples. Take Septris. The brainchild of the Stanford University School of Medicine, it tackles education about the deadly complications of sepsis by channeling the classic video game Tetris. In Septris, two “hospital patients” sink fast with alarming vital signs, and players have to race to apply tests and treatments to make a diagnosis and keep them alive. (Sepsis, in real life, can kill a patient only a few hours; in the game, it can happen in as little as two minutes.) While the game is free and can be played on the web or mobile devices, nurses and doctors can level up $20 for a post-game test to get Continuing Medical Education credits. If they succeed. In addition, initiatives like the National STEM Video Game Challenge encourage students and teachers to create games that can be shared outside their schools’ walls. Cool startups (such as Kuato) and established educational companies (such as McGraw-Hill) are also sources of good learning games, but as the digital games for learning market accelerates, educators may be increasingly looking to – and companies looking over their shoulders at – the playful activities of their counterparts in the consumer, non-profit and academic worlds. Frank Catalano is a consultant, author and veteran analyst of digital education and consumer technologies. He tweets @FrankCatalano, consults as Intrinsic Strategy, and writes the regular Practical Nerd column for GeekWire. He failed miserably at Septris, dashing any lingering hopes of his parents that he might someday be a doctor.